Cloud Analogy offers the most comprehensive of PHP web development services across all industries. 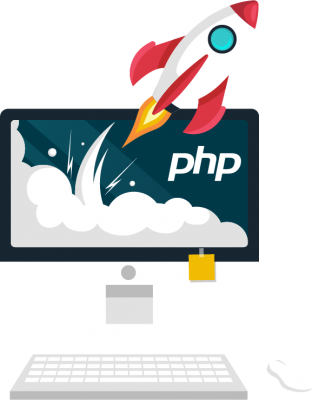 We have a highly competent team of PHP developers - with the ability to create the most customer-centric PHP applications. Develop secure, fast and reliable PHP based web solutions. PHP is a server-side scripting language that is popular among web developers. It helps in enhancing the appearance and functions of a website. PHP is preferred by the expert team of developers at Cloud Analogy because it has evolved from C and C++. It is easy to transition from the desktop solutions in C and C ++ to the web development solutions in PHP. Our web development team chooses PHP because it is open-source and offers cost-effective solutions. The demand for PHP as a web development language is not showing any signs of waning out as it can use MySQL as a database to create dynamic, highly interactive web pages. We deliver high-performance, customized web solutions with PHP by using LAMP (Linux Apache and MySQL PHP) stack. We have created robust, highly scalable solutions to create interactive web solutions. We make use best practices and advanced tools for developing these solutions. The talented developers at Cloud Analogy develop the web portal development solutions for their wide array of global clients. We are extremely careful and take care the nitty gritties of web portals, so that the functions and blocks function in the right way. 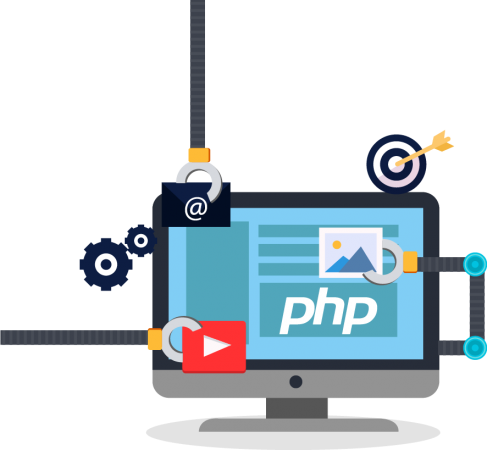 We leverage the skills of competent developers to create the social networking solution with PHP - as per the precise requirements of the client. We understand the complexities of the social networking solution in PHP. We help you in the integration of third-party social networking apps with your website. Why Choose us for PHP Web Development Services ? Our skilled developers are well conversant with the best practices of the PHP web applications. We make use of MVC architecture - to prevent malicious attacks of any form. Cloud Analogy has always earned the appreciation of its clients for the impeccable delivery schedules that their coders have achieved. We develop web applications with faster loading time, by incorporating the 100 % tableless layout, while developing code. Our team of experts render the most outstanding support for our clients. The team always seek to meet the business goals for the clients by using special tools and technologies.